You’re nearing the end of migrating a population of users to Office 365. You’ve moved mailbox data from your on-premise Exchange environment to Exchange Online. You’ve synchronized your user identities to Office 365. Now, to connect user identities to their migrated mailboxes, you have to assign mailbox licenses and any other required attributes to your synchronized users. This is where administration can get prohibitively task-intensive and costly if you’re faced with migrating multiple tenants, more than 500 users, or both. IT administrators traditionally assign mailbox licenses and attributes by creating a number of PowerShell scripts that bulk-assign licenses and attributes to the synchronized users. Doing this involves writing, testing, and running multiple scripts for each batch of migrated users. Writing numerous PowerShell scripts is time-consuming. It’s also expensive, because you need to use experienced IT admins with PowerShell skills to write the batch update scripts. Once the scripts have been created, you’ll need to test each individually to ensure they meet your expected outcome. After testing, an IT admin with global rights to the Office 365 tenant will have to run each script. Then you can start again for another batch of users. Using Nuvolex for assigning mailbox licenses and other attributes to your synchronized users is much faster and easier. It involves a simple one-step onboarding process that reads and imports the users, licenses, mailboxes, and groups. Once the onboard completes, an IT admin uses the Nuvolex SuperClick feature to automate the assignment of licenses and attributes to any number of users simultaneously. Your IT admin simply selects batches of users based on department, group membership, OU, and domain and then uses SuperClick to bulk-assign licenses and attributes to each batch. The IT admin can run as many SuperClick batch updates on as many users as needed, all at the same time. In this way, SuperClick slashes the time and complexity associated with assigning licenses and attributes to users during an Office 365 migration. There are no more burdensome, costly PowerShell scripts for each type of assignment that needs to be made. An IT admin without PowerShell scripting experience can achieve the required outcome using the SuperClick batch automation engine. The table below shows a high-level summary of the specific migration process steps using the traditional method and using the Nuvolex SuperClick method. You’ll see that SuperClick cuts out many hours and the high-level expertise required for writing, testing, and running scripts in steps 6 and 7. 1. Prep Exchange and Active Directory environments for migration. 2. Select the scope of mailboxes to move and start the data migration, continuing until all required mailboxes are moved to Exchange Online. 3. 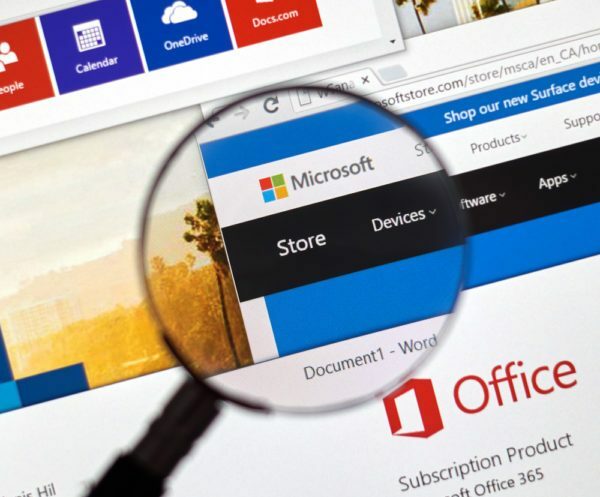 Synchronize Active Directory user identities to Office 365 using Azure Active Directory Connect, Active Directory Federation Services, or a single sign-on (SSO) provider application. 4. Validate that mailbox data and identities are successfully migrated to Office 365. 5. Run various batch assignments for Office 365 users and mailbox. 6. Create PowerShell scripts for each batch of users. 7. Test PowerShell scripts individually. 8. Run PowerShell scripts to migrate the user batch. 6. Select a batch of users to update with licenses and attributes and click on SuperClick to automate the assignment. 7. Click on each batch of users until all users and mailboxes are completed. Continue migration by completing other tenant configurations and prepare for cutover. Learn more by reading our solution brief for CSPs, or schedule a demo by contacting us at sales@nuvolex.com. Previous PostStruggling to Manage Office 365?